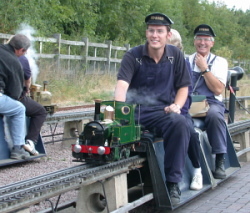 The Polly Owners Group has been formed by people who enjoy building and running their locomotives which have been produced by Polly Model Engineering. This includes the Polly range of kit built locomotives as well as the Practical Scale range. Please have a browse of our site and if you have any further questions or would like to become a member please contact us. If you would like to become a member of POG, please download and fill in the application form below.